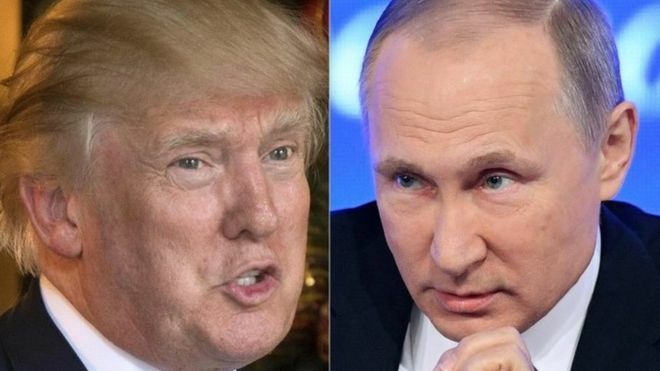 US President Donald Trump and Russian President Vladimir Putin have agreed to press for a ceasefire to halt the war in Syria. The two spoke by telephone for the first time since the US launched air strikes against Syria nearly a month ago, straining relations. White House and Kremlin statements suggested a productive conversation. Other topics discussed included North Korea and the timing of a future face-to-face meeting. Mr Trump ordered air strikes after a chemical weapons attack blamed on Syrian President Bashar al-Assad, Russia’s ally. 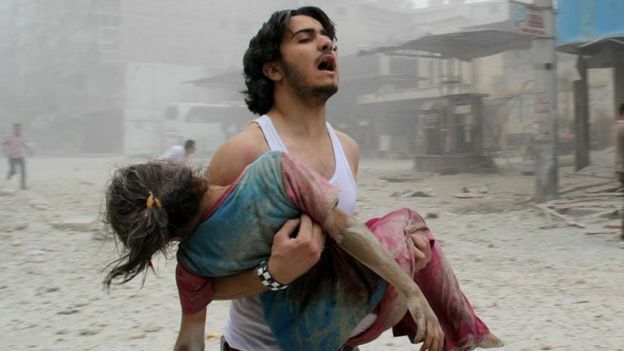 The Russians which blamed Syrian rebels for the use of illegal nerve gas. A White House statement said “President Trump and President Putin agreed that the suffering in Syria has gone on for far too long and that all parties must do all they can to end the violence. “The conversation was a very good one, and included the discussion of safe, or de-escalation, zones to achieve lasting peace for humanitarian and many other reasons”. The Kremlin statement said the two men had agreed to step up attempts to find ways to strengthen a ceasefire. “The aim is to create the conditions for the launch for a real resolution process in Syria,” it added. The White House also said Mr Trump and Mr Putin had also spoken about “how best to resolve the very dangerous situation in North Korea”. The secretive communist state’s nuclear and ballistic missile programmes have raised tensions in the Asia-Pacific region, with Mr Trump saying last week that a “major, major conflict” was possible. The two had also discussed having their first face-to-face meeting since Mr Trump was elected on the sidelines of the G20 summit in Hamburg in early July, the Kremlin said.